Fully adjustable, with a welded steel D-ring and heavy duty side release clasp. Adjusts from 12 - 20 inches. 1 inch in width. 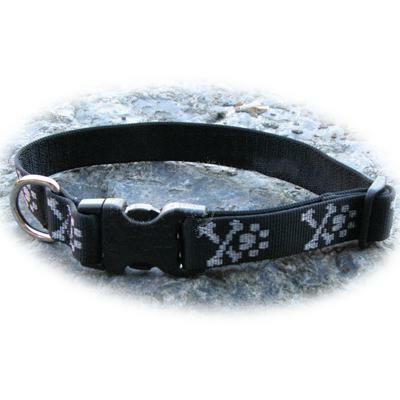 100% heavy duty nylon collar with a silver crossbone and pawprint pattern.